Senior residents make up an important part of the Detroit Shoreway neighborhood community. 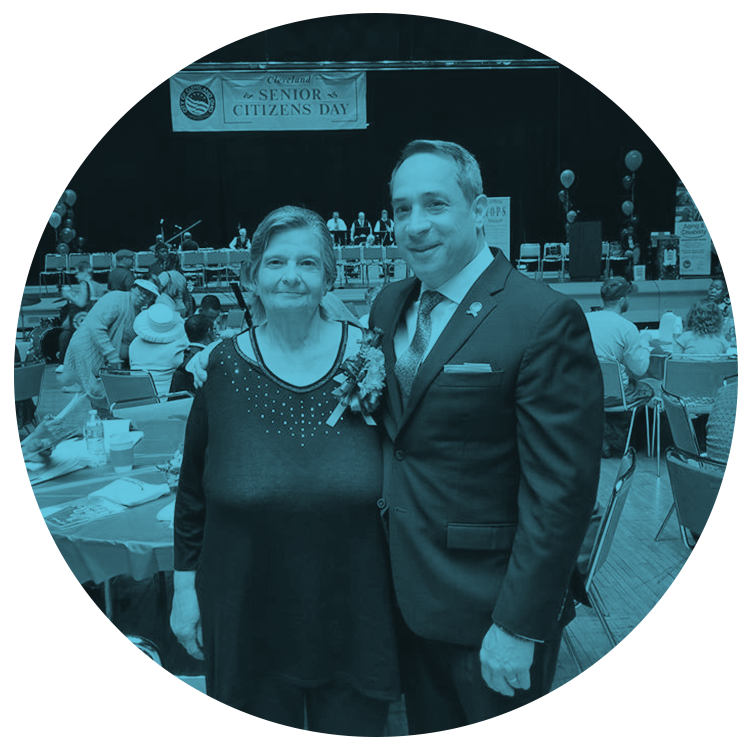 Stay up-to-date on events, services, and programs available to senior residents in the City of Cleveland. For more information call: 216.664.2833 or visit the City of Cleveland Department of Aging website. From Senior Walks at Zone Recreation Center to Senior Social at the Walz Branch Library, there are ways for every senior to get involved. Be sure to check out our events calendar to see what’s coming up next. Visit the Home Repair page or contact DSCDO’s Housing Specialist at 216.961.4242 x223 for information. Villa Mercedes offers income based and affordable senior housing. They cater to Seniors age 62+ who are disabled, or disabled of all ages. The building has 9 stories, 150 units, including section Section 8 units. St. Augustine Towers is an assisted living facility offering apartments for seniors age 55+ in need of additional services such as meals, laundry, housekeeping, bathing, remembering meds, etc. These apartments are not income based. Medicaid waiver and private pay are accepted. This building has 99 apartments which includes studio, 1, and 2 bedrooms. St. Augustine Manor is a nursing home with 234 beds offering skilled nursing, long-term care, and Hospice. St. Augustine accepts Medicaid, insurance, and private pay. Colman Court Apartments is a senior affordable rental housing community with 1 bedroom apartments. Income restrictions may apply. Contact Colman Court for rates & availability. For additional housing information, contact our Housing Specialist at 216.961.4242 x223.